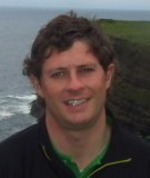 Pat Murray will celebrate his 39th birthday today by blowing the cobwebs off his game with a spin around the links at Doonbeg. But while the Tipperary native broke his championship duck by claiming last season’s Irish Close title at Enniscrone, his career will feel incomplete until he wins the South of Ireland championship just 20 miles up the road at Lahinch. One of 64 seeded players who have been given a bye into tomorrow’s second round, Limerick based Murray knows better than anyone that the path to the final of the South is anything but smooth. Murray faces a long wait before he hits his first tee shot tomorrow afternoon. He goes off in the final match of the day at almost half past four against the winner of today’s first round clash between Ross Grehan of the Curragh and Tuam’s Damien Coyne. But there will be little time to celebrate if he finally manages to lift the title on Wednesday evening as he is one of four amateurs nominated by the GUI to take part in next week’s 3 Irish Open at Killarney. The field for the South features some of the cream of Irish amateur golf though Murray and Co will no doubt be relieved to see that championship winners Alan Dunbar, Cian Curley and Paul Cutler will be busy preparing in Killarney, where they are hoping to follow in Shane Lowry’s footsteps by winning the Irish Open as an amateur. West of Ireland champion and beaten Irish Close finalist Rory Leonard has withdrawn, which means that Murray will again be one of the favourites for the title alongside Close champion Dara Lernihan from the Castle and West Waterford’s Seamus Power. Defending champion Robbie Cannon of Laytown and Bettystown is hopeful about his chances thanks to some ace detective work by Padraig Harrington’s fitness coach Dr Liam Hennessy. The 31-year old Irish international has struggled so far this season to reproduce the kind of form that saw him clinch his maiden amateur “major” at the classic Co Clare links 12 months ago. “I found I was playing well for 16 holes or so and then hitting destructive shots that would cause me to make doubles or trebles that would ruin a round,” Cannon explained. “My form was good for the majority of a round but then the destructive shots were showing up when I was under pressure. “I turned out that I had a spasm in my traps - the trapezius muscle from the shoulder to the neck. The muscle would get active and I’d hit that bad shot off the planet. “So we did a full, three-hour body screening and, as Liam put it, that was the pink elephant that was showing up. Many old friends will be reacquainted today, including retired Ennis schoolteacher Noel Pyne, who will be playing his 48th consecutive “South” at the age of 64. Playing off two, Pyne got into the field as third reserve with Co Louth veteran Barry Reddan, the 1987 champion, also making it into today’s first round draw at the last minute. Reddan isn’t the only former champion in the field with title holder Cannon joined by Peter Sheehan (1993), Simon Ward (2006) and Darren Crowe (2007). 49 14:12 D Kernohan (Galgorm Castle); 50 14:21 M Poucher (Limerick); 51 14:30 E Maguire (Seapoint); 52 14:39 T O’Mahony (Mallow); 53 14:48 R McCarthy (The Island); 54 14:57 C Fairweather (Knock); 55 15:06 E Haugh (Castletroy); 56 15:15 R O’Donovan (Lucan); 57 15:24 G O’Flaherty (Cork); 58 15:33 K McGarry (Bandon); 59 15:42 M Shanahan (West Waterford); 60 15:51 D Ruddy (Thurles); 61 16:00 B Keenan (The Heath); 62 16:09 DF. Coghlan (Royal Dublin); 63 16:18 C Glynn(Carton House); 64 16:27 P Murray (Limerick).